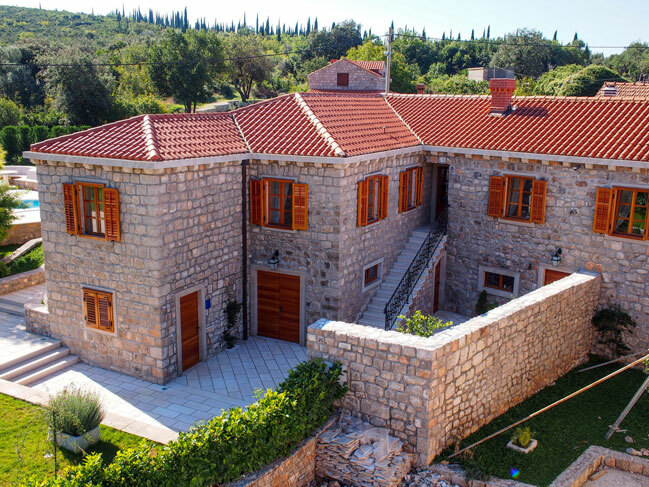 Luxury Villa in konavle in Dubrovnik Region In this villa in Konavle - Dubrovnik there is tavern with the original olive mill for processing olive oil. It still has well preserved and restored original olive mill wheel. 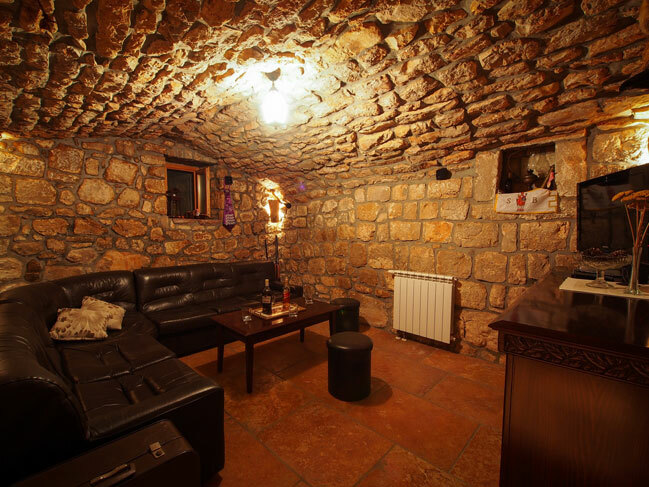 In it there is a table for 16 people, a fireplace for barbecue, a bar with stove, fridge, oven, dishwasher machine and ice maker. 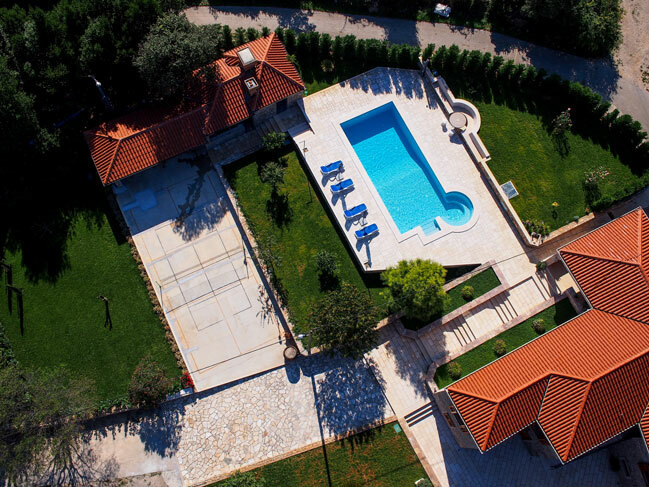 The villa has a total of 320 m2 and consists of two levels - the upper level stretches over 160 m2 and consists of 4 double bedrooms, 2 living rooms, a spacious fully equipped kitchen with dining room, terrace and two bathrooms, one with a massage shower, and the other with jacuzzi with TV and radio. There is a terrace with dinning table overlooking the pool area. 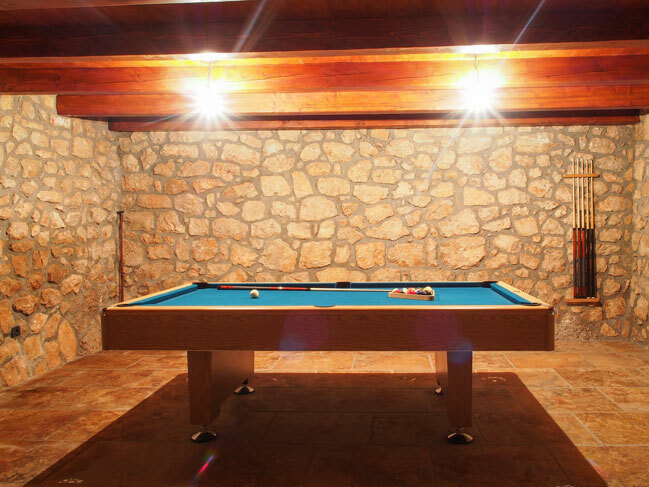 The lower level consists of a pantry, a game room with a pool table and dart board, and an old tavern. 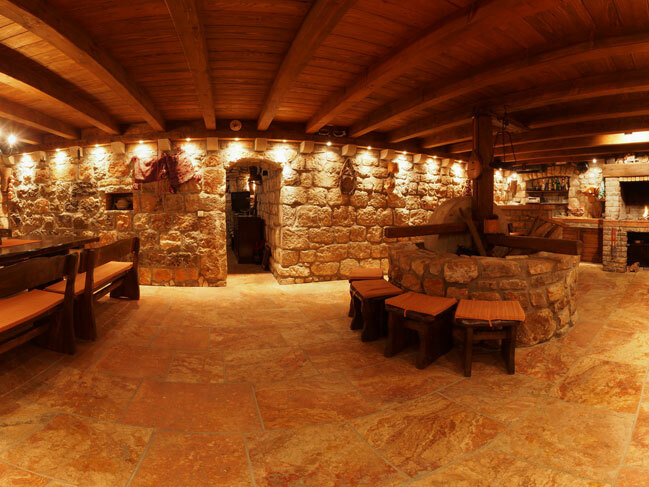 Tavern was originally the olive mill for processing olive oil and it still has well preserved and restored original olive mill wheel. 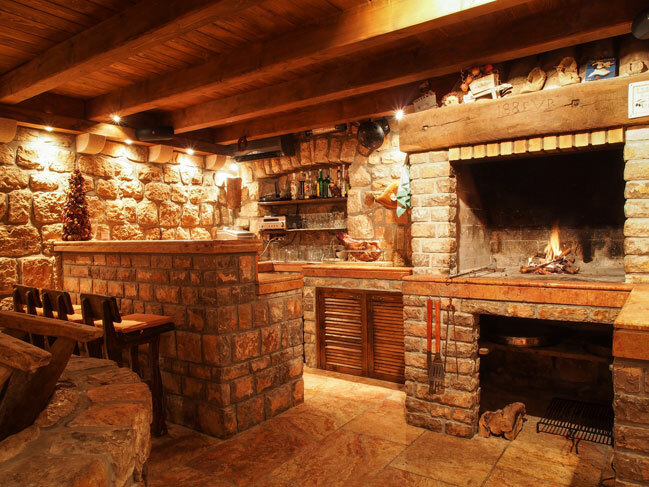 There is a table for 16 people, a fireplace for barbecue, a bar with stove, fridge, oven, dishwasher machine and ice maker. There is a separate room with a couch and a TV set. The tavern has an excellent sound system where you can play music from CD, USB or connect a cell phone or iPod. In front of the mill is a toilet with washing machine. 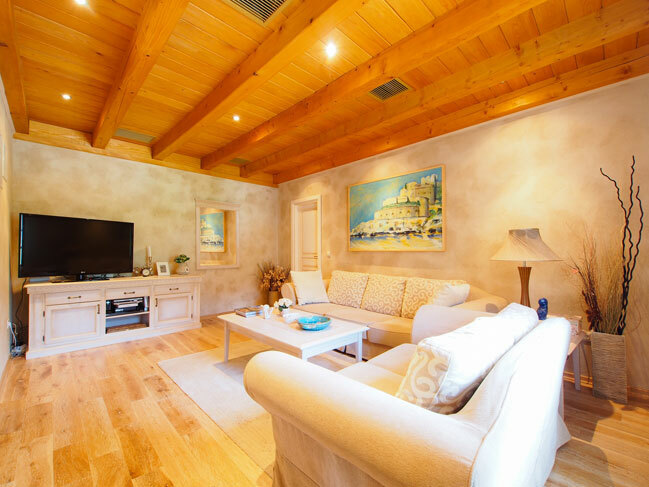 Every room in the house has its own LED TV with USB port, and a large living room has a big LED TV with satellite TV, Apple TV, DVD, CD and USB players. There is also a fax and copy machine, telephone and video surveillance system. 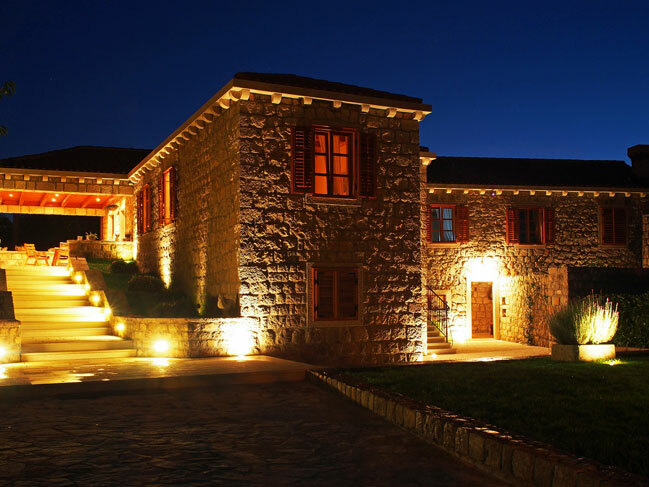 The house is fully air-conditioned, and has central heating. 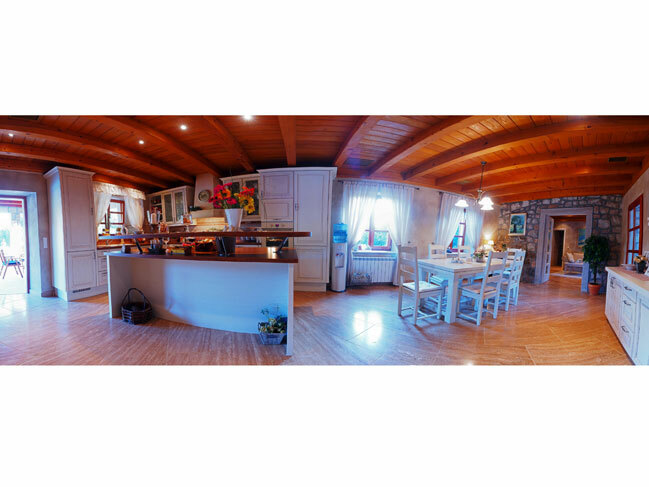 Kitchen, dining room, bathrooms and tavern have floor heating. 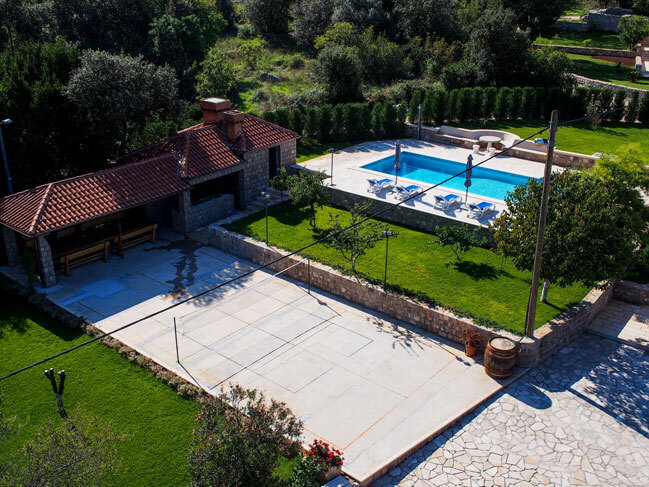 In front of the villa there is a swimming pool of 48 m2, depth is 115 to 175 centimeters. A jacuzzi for 8 people has massage pumps for back, thighs and feet. 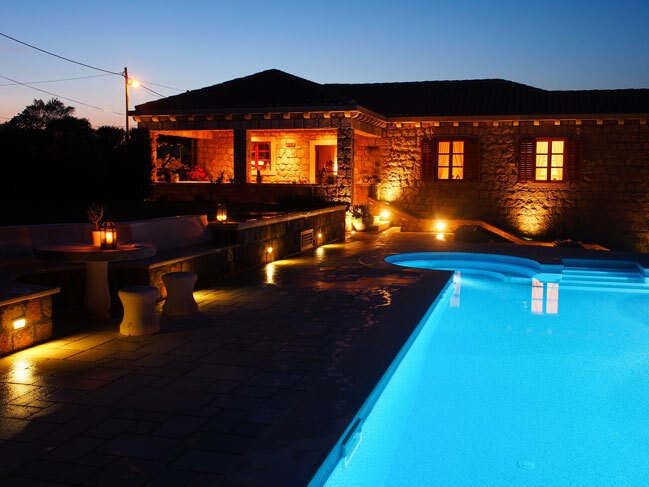 LED lighting in the pool in 16 colors can be controlled by a remote controlled and has multiple programs for changing colors. 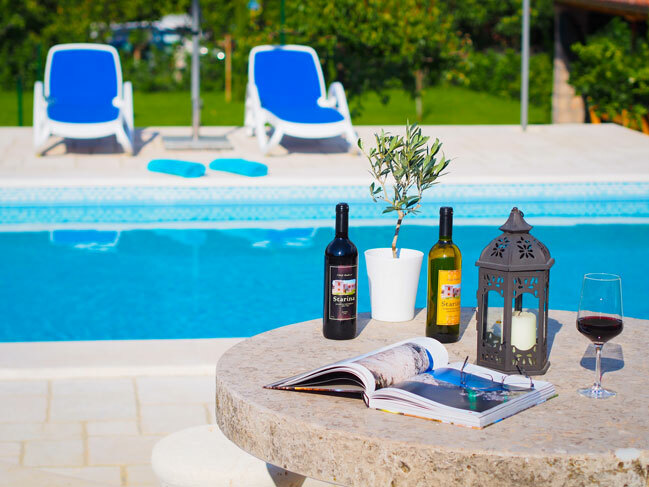 Terrace around the pool has sun beds and umbrellas. Stereo sound system around the terrace can be controlled by smart phones and has internet radio and live stream. On the terrace there is an outdoor shower and bathroom with shower. 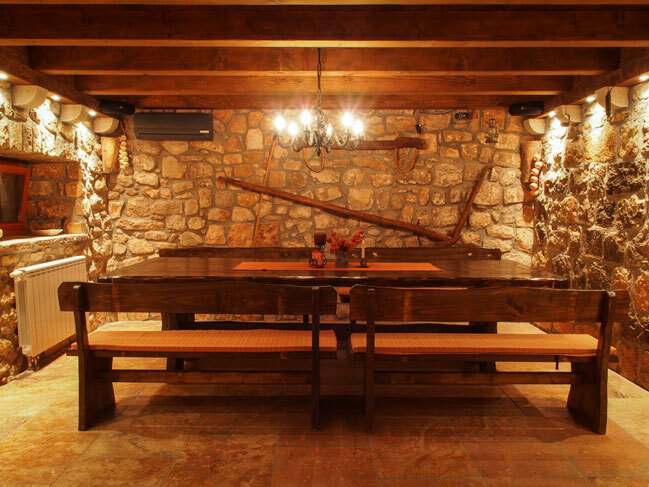 Right next to the terrace there is a ‘glorijet’ - traditional covered terrace and a summer kithchen with a 4.8 meter long table for 20 people made of 120 years old oak, big 2.5 meters long barbecue, bread oven, refrigerator and ice maker. The stereo sound system with a projector and screen is ideal for watching sports and similar events on summer nights. In front of ‘glorijet’ there is a playground for foot-tennis and badminton, sketched in standard measures. Foot-tennis is a popular game that combines football, tennis and volleyball. Playground is illuminated for the night playing as well. Lawn with automatic irrigation system in the three levels has trees typical for the region - orange, lemon, quince, pear, cherry, olives, figs, almonds, wild pomegranate, cypress, oak. For a pleasant scent and beauty of the lawn we have roses, birds of paradise, a great mimosa, lantana, jasmine, cycads, lavender, oleander, petunias, rosemary, basil, oregano, bay leaf, sage, thyme, mint.In the garden diverse seasonal fruits and vegetables are planted- lettuce, arugula, watermelons, melons, tomatoes, zucchini, eggplant, potatoes, cabbage, spring onions, parsley, carrots, beans, peppers, and cucumbers. 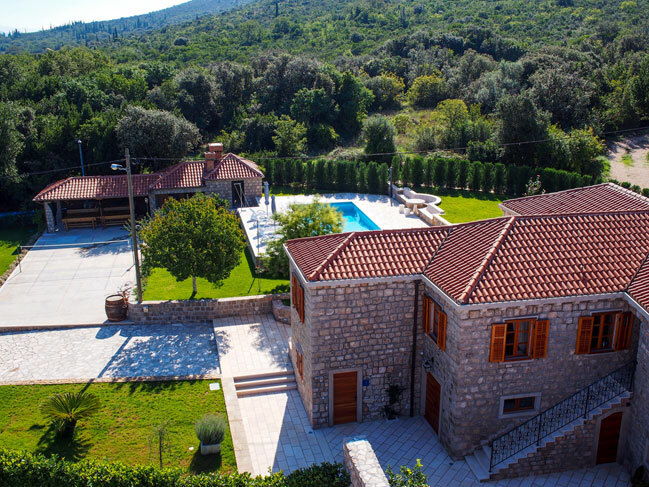 The whole area of Konavle, from Cavtat to Prevlaka, is the region known for its good quality wines, beautiful vineyards, olives and olive oil, and rich gastronomic offer. 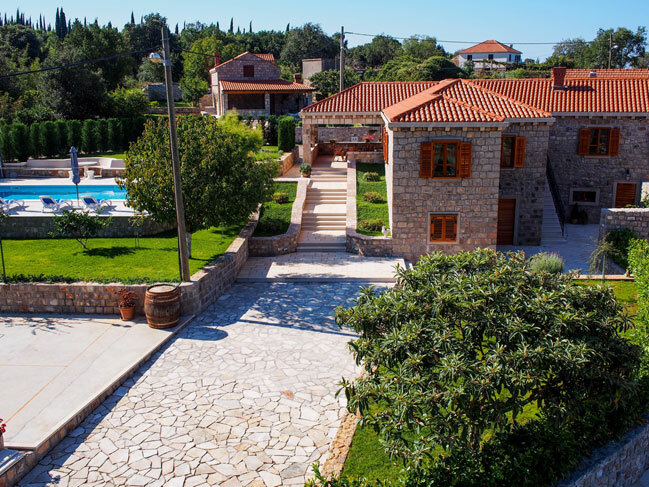 Guests have the choice of various activities that include rich flora and fauna sightseeing, visiting taverns that prepare local traditional delicacies, old wine cellars tours with wine tasting. Also many sports, recreational and adventurous activities are available. Badminton court together with a foot-tennis game.